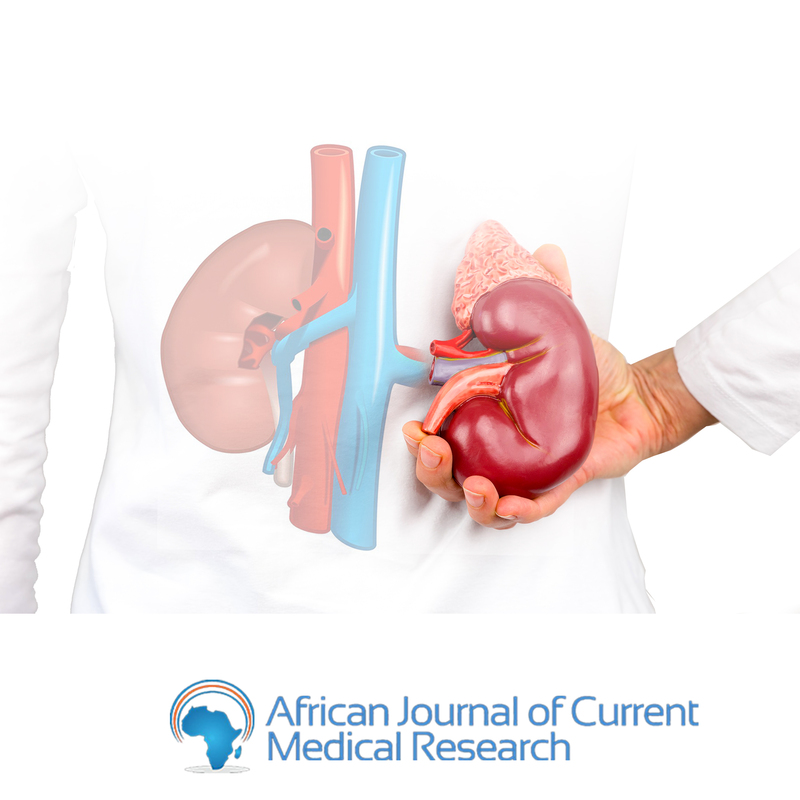 A 10-Year retrospective review of renal cases seen in a Tertiary Hospital in West Africa. Renal diseases commonly present to the Komfo Anokye Teaching Hospital (KATH). There has not been a comprehensive analysis of the number of renal cases managed. We set out to analyze comprehensively the renal cases seen at KATH to describe the trends a decade. A retrospective study was conducted from January 2006 to December 2016. We collected secondary data from the records on the wards, outpatient clinics and hemodialysis unit from the KATH annual reports. Trends in renal cases were then plotted. Renal outpatient clinics started in 2007. There were an average of 65,273 medical out patients seen yearly with renal conditions accounting for 5,397 (8.3%). Renal clinic patients increased by 271% from 710 in 2007 to 1927 in 2016. The average yearly medical admission was 6,880 patients of which renal admissions accounted for 276 (4.0%). The average position of renal admissions was 6th (range 2nd-10th) of total medical admissions. The average annual mortality rate of renal admissions was 32.7%. The average mortality of general medical cases was 23.8% annually. Hemodialysis services commenced in 2006. Patients on haemodialysis have increased by 50 times from 8 in 2006 to 407 in 2016. Hemodialysis session also increased by 38.8 times from 59 in 2006 to 2350 in 2016. The average number of patients on hemodialysis per year was 211.5. Renal disease is a common condition in KATH associated with significant morbidity and mortality. A concerted effort is needed to enhance the diagnosis and management of renal diseases in Ghana. Non communicable diseases (NCDs) have been of great concern lately with increasing morbidity and mortality. Despite the attention given to non-communicable diseases worldwide and in developing countries, chronic kidney disease and its complications is not highlighted. Chronic kidney disease has increasing incidence and prevalence and also complicates both communicable and communicable diseases. It has high morbidy, mortality and greatly affects quality of life. In Ghana, chronic glomerulonephritis is the most common cause of chronic kidney disease followed by diabetes and hypertension. There is anecdotal evidence that the excessive use of herbal medications also compounds the problem. Management of end stage renal disease is very expensive and most patients cannot afford renal replacement therapy. A concerted effort is needed by all stakeholders to recognise kidney disease as an important non-communicable disease to reduce the disease burden. In achieving the health related sustainable development goals, what do you think will be the most important health issue the decade after? © 2018 African Medical Journal of Current Research. All Rights Reserved.